Make hosting family or friends easier with the addition of this transitional full sofa sleeper to your living room collection. Two thick cushions provide comfort to you when used as a sofa while the memory foam mattress will support your guests during overnight visits. Tapered legs and short, block feet create a transitional look that will easily match your existing decor. 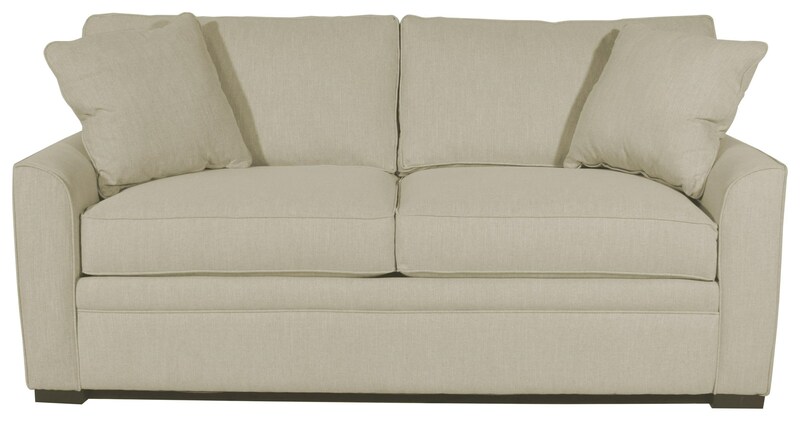 The Blissful Full Sofa Sleeper by Jonathan Louis at HomeWorld Furniture in the Hawaii, Oahu, Hilo, Kona, Maui area. Product availability may vary. Contact us for the most current availability on this product.